After her marriage, Susan Ward was styled as Countess of Rosebery on 19 May 1764. From 19 May 1764, her married name became Primrose. Child of Sir Edward Ward, 5th Bt. After her marriage, Mary Vincent was styled as Countess of Rosebery on 17 July 1775. From 17 July 1775, her married name became Primrose. 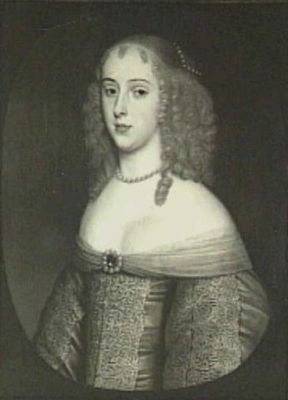 From 16 April 1666, her married name became Bennet.2 After her marriage, Isabella de Nassau was styled as Countess of Arlington on 22 April 1672. [S6] G.E. Cokayne; with Vicary Gibbs, H.A. Doubleday, Geoffrey H. White, Duncan Warrand and Lord Howard de Walden, editors, The Complete Peerage of England, Scotland, Ireland, Great Britain and the United Kingdom, Extant, Extinct or Dormant, new ed., 13 volumes in 14 (1910-1959; reprint in 6 volumes, Gloucester, U.K.: Alan Sutton Publishing, 2000), volume I, page 217. Hereinafter cited as The Complete Peerage. [S2] Peter W. Hammond, editor, The Complete Peerage or a History of the House of Lords and All its Members From the Earliest Times, Volume XIV: Addenda & Corrigenda (Stroud, Gloucestershire, U.K.: Sutton Publishing, 1998), page 36. Hereinafter cited as The Complete Peerage, Volume XIV. [S466] Notices, The Telegraph, London, UK, 3 November 2005. Hereinafter cited as The Telegraph.